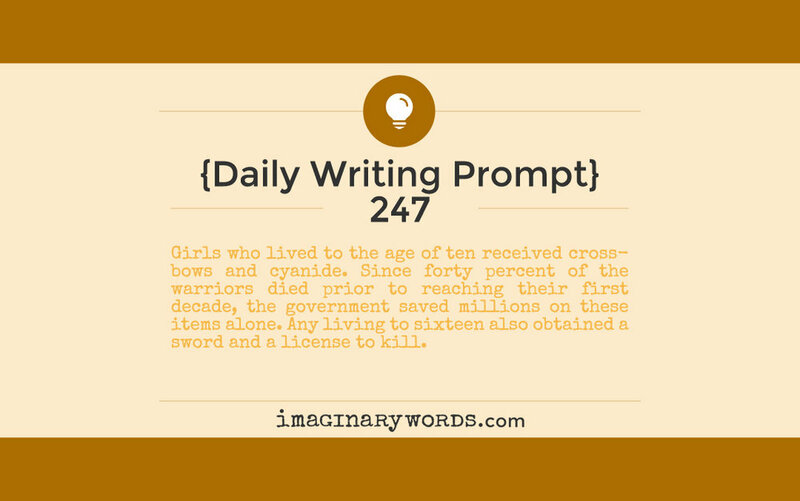 Girls who lived to the age of ten received crossbows and cyanide. Since forty percent of the warriors died prior to reaching their first decade, the government saved millions on these items alone. Any living to sixteen also obtained a sword and a license to kill.